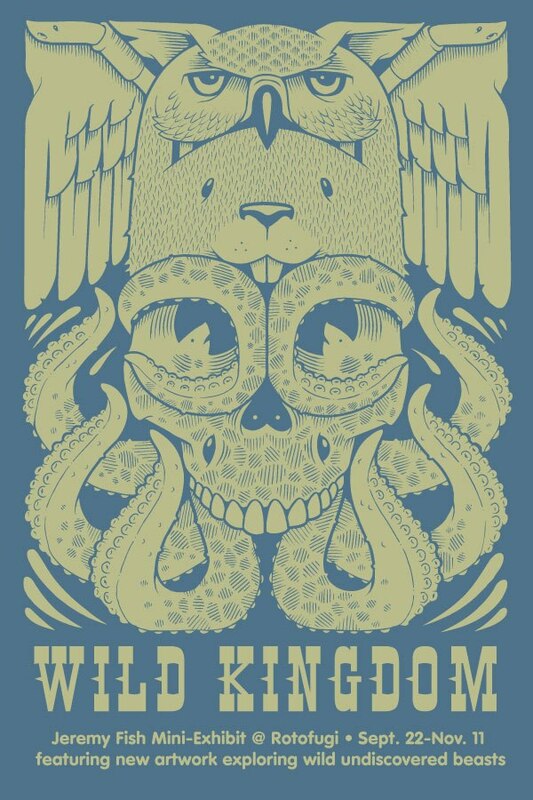 Artist Jeremy Fish will be having a small exhibit and autograph signing at Chicago's premier Gallery & toy store Rotofugi this Saturday 9/22/12. The show will run from September 22nd through November 11th but the artist himself will be on hand this Saturday to celebrate. 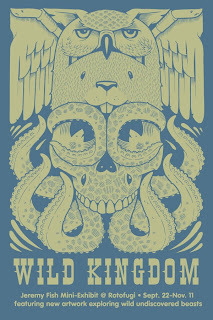 Jeremy Fish is a San Francisco based Illustrator originally from New York. He has worked with Nike Skateboarding and is famous for his collaborations with rapper Aesop Rock. The opening reception for this mini-exhibit will be 6-9PM and Jeremy will be signing for fans from 6-8pm. They'll also have free snacks from Sweet Myrtille too while they last!